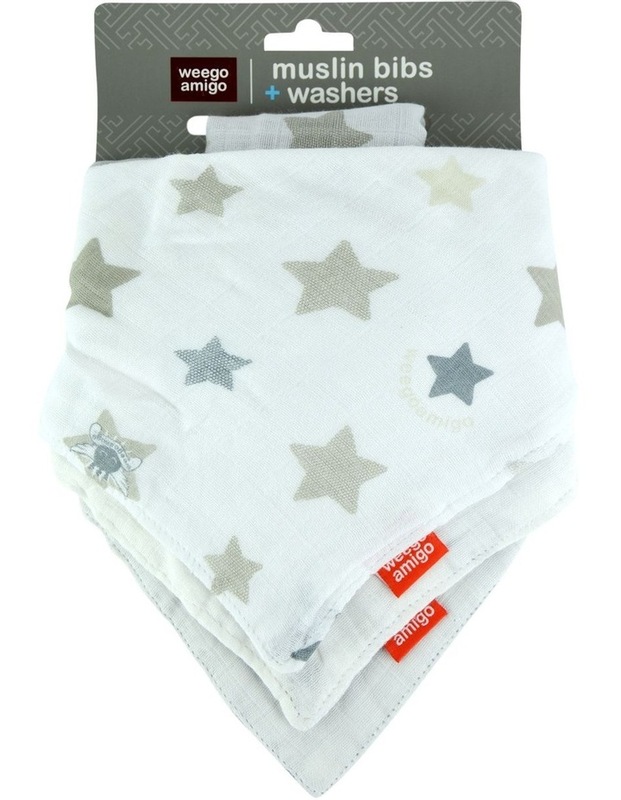 You'll be starry eyed for this bamboo bib and washer pack from Weegoamigo! 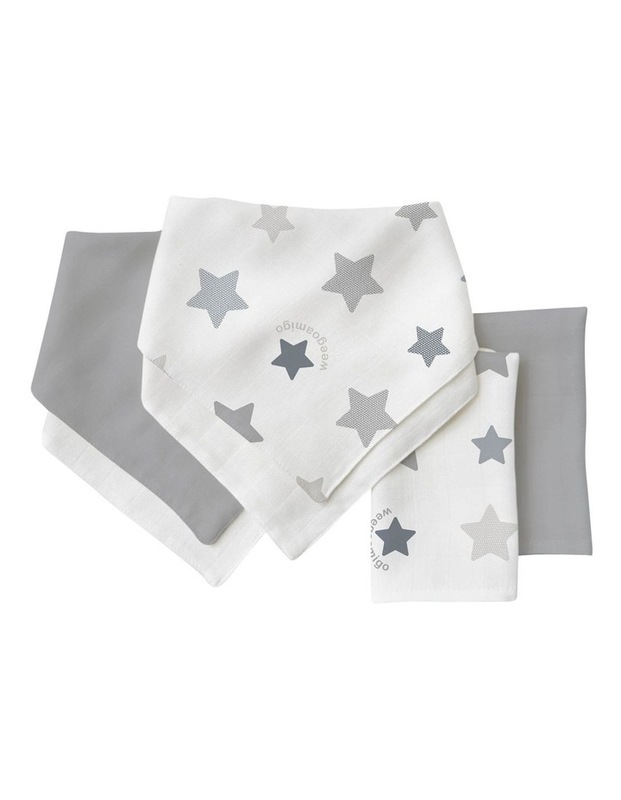 The neutral grey star print makes for a great gift pack and stars are always a fave. This multipack of matching bibs and washers is oodely useful for snacks and dribbles at home and out-and-about, and made from the softest blend of viscose from bamboo and cotton.